What if the answer to your lack of income each month could come from something you already own? 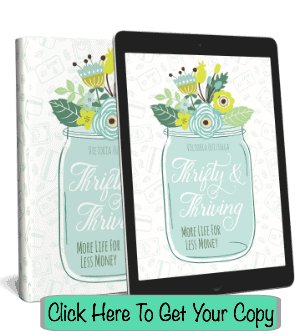 What if I told you your laptop could bring you in hundreds to thousands of dollars each month? I hope you would believe me because it is true. I have been using my laptop for years now to make anywhere from $50 a month to as much as full-time income in one month, and I am talking in net income because let’s face it–gross income is not what we actually get to spend. What we get to spend is the amount after taxes and expenses. How have I earned this much? And how can you do the same? 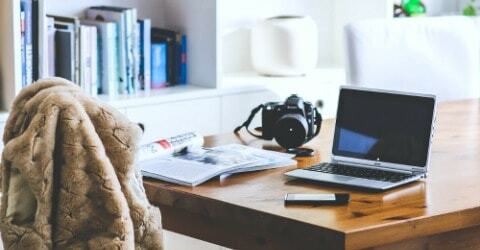 This list contains 6 main ways you can use your laptop to make money from home. However, each way is not going to be a great fit for everyone. Read over the list and spend some time thinking and praying on which idea would suit your talents and passions best. Don’t forget about time commitment too. Some of these ways require more time than others–truly take a good hard look at your schedule before jumping into something that you simply don’t have time for. I started using point rewards programs and survey companies to earn a few gift cards each month over 10 years ago and I still use them. Point reward programs and survey companies are great for people who don’t have a lot of time to devote to earning money from home and just want a small amount of cash each month in return for a few hours each week spent here and there whenever the can fit it in. 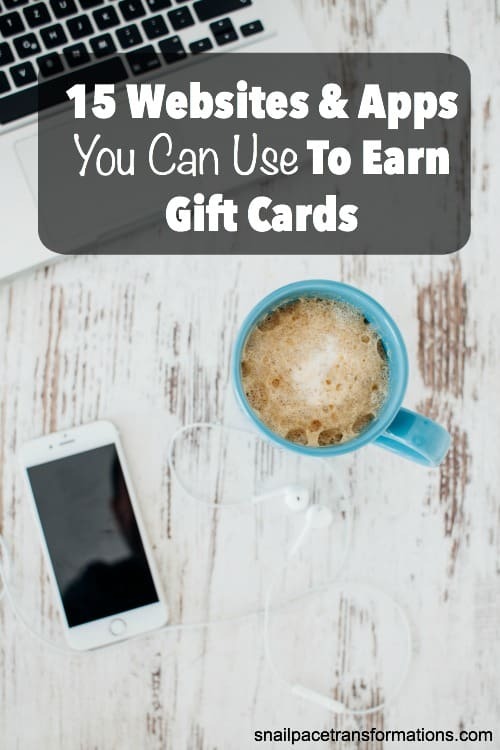 Another great way to use these types of programs is to save up the gift cards you earn to purchase supplies to start a larger business venture. Many companies offer Paypal as a cash out which would allow you to spend your money on supplies for your business venture where ever you want. Those that don’t offer Paypal often offer Amazon gift card codes which you can use to purchase just about anything you need for that business you want to start. The only way I have ever sold crafts online as through a Facebook album since I tend to knit for pleasure only and just need to earn enough money to keep me in therapy (aka yarn 🙂 ). However, if you want to break into earning a side income or even a full-time income from your crafting talents here are two platforms you can try. Etsy is a large market place of crafters. It offers low fees and a huge network of other sellers that you can learn from. I once spent a few hours reading a book about selling on Etsy. I found it very informative and it almost made me want to make the plunge–except I don’t have time to blog and sell on Etsy at the same time, so I chose to focus on blogging. Unfortunately, the book is no longer in print but if you are looking for great advice on creating a thriving business on Etsy, or any home business really, check out Brilliant Business Moms, who chat and write about Etsy business often. Shopify allows you to start your own online store. They offer two different options. For $9 a month you can build a store into an existing website (so essentially you would also have to add in the fees mentioned in the blogging section) or for $29 a month you can build a home for your brand and your very own online store. Shopify makes every step along the way extremely simple with support available to you 24/7. Plus they offer free podcasts and marketing tips to help you. They even have a mobile app so that you can manage your business with ease when you are on the go. You can get started with a free 14-day trial. When my children were young, I often resold the clothes and toys they out grew through many different avenues. I also tried my hand at buying items at yard sales and reselling them on eBay and was able to pay for their sporting activities and lessons this way. Here are 4 places you can try reselling either items you no longer need or items bought specifically for resale. Here is a post I wrote sharing the best eBay tips I learned when I used to sell on eBay years ago. Some might be outdated but others are still very relevant. You can sell more than your old books on Amazon. There are people making a full-time income buying highly discounted items and reselling them on Amazon. Here is a post I read recently about a family doing just that. Reselling items might not be an area you want to pursue full time but keep in mind that it is a great way of raising money to start the business venture you really want to dive into. I have been blogging since January 2012. It took me a few years but now I am finally earning a full-time income. I am not a blogger who spends 80 hours a week on her blog. I probably spend roughly 20 hours to as much as 40 depending on the week. I blog around life-not the other way around. If you love to write, share tips with whoever you meet, and have a love of learning, chances are blogging might be a good fit for you. Pick a domain name (blog name) and register it: I personally use Go Daddy. This is so simple and inexpensive to do. Go Daddy often run sales where you can register your domain name (blog name) for as little as .99 cents. Pick a Web Host: I stared out using BlueHost. It costs as little as $5.95 a month. Get started on WordPress.org: I started with a free WordPress theme and saved up money until I could afford Genesis with the Prose child theme. 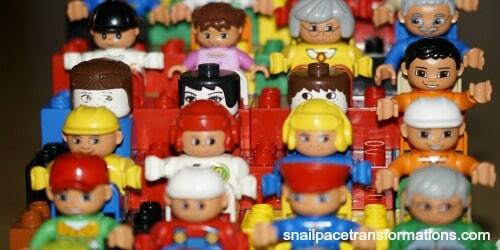 Start blogging: I simply jumped right in (yep, that is my first post. It makes me cringe but I did it). I learned as I went and I don’t regret it. Prefer a bit more help starting your new blog? Let a very successful blogger help! The course 5 Days to a Successful Blog Launch was created by Crystal Paine of the successful blog Money Saving Mom. 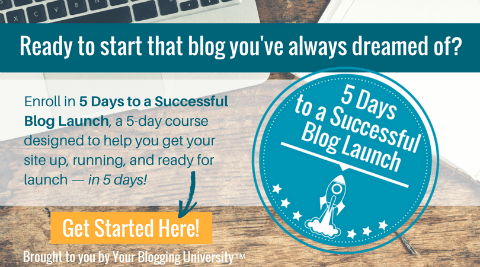 This course is an inexpensive way of getting the help you need to get a blog up and running. 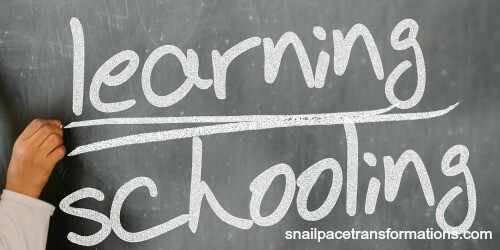 You can find out all about the course over at this homepage. Are you great at social media? Do you know your way around HTML? Can you create amazing eye popping graphics? Are you great at teaching others? Then perhaps selling your services online would be a great fit for you. With Fiverr, you sign up for an account and create an ad for your service. There are thousands of different services listed from creating logos to writing messages in the sand and snapping photos of them. You charge a flat rate of $5 and then can add add-on packages of various prices. You pay Fiverr a small fee for each transaction. Virtual assistants are used by bloggers and online entrepreneurs to help them with everything from scheduling social media, proofreading articles, creating graphics, and more. I have heard that a great eBook to read if you want to jump into the world of becoming a virtual assistant is The Bootstrap VA: The Go-Getter’s Guide To Becoming A Virtual Assistant, Getting & Keeping Clients, and More! Do you make up printables for everything you do? Do you take amazing photos? Are you always creating stories in your head? Then perhaps making money from home through selling digital products would be a good fit for you. If you have teaching experience, you probably know exactly what they need to help them with teaching in the classroom. Combine that with a love of printables and you just might be able to create and sell your teaching aids through Teachers Pay Teachers. Here is an interview the Work At Home Wife did with someone who makes money using Teachers Pay Teachers. There are sites out there where you can lists your photos for a per download price for website owners and bloggers to use on their sites. Here is a list of 13 places to sell your photos by the Work At Home Wife (yes I am linking to her site a lot in this article–she writes great articles on so many different ways to work at home). Do you love to write fiction or nonfiction? Did you know that you can write and sell your own books on Amazon through the Kindle Self-Publishing? It helps to have a blog following first, but I have read about people who are having good financial success at this even without a blog. 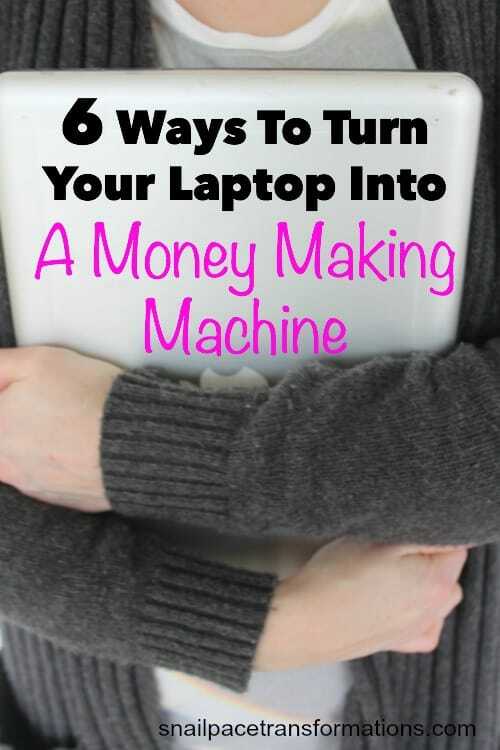 I hope these ideas help you realize that the laptop you own just might be the best money making tool you own. 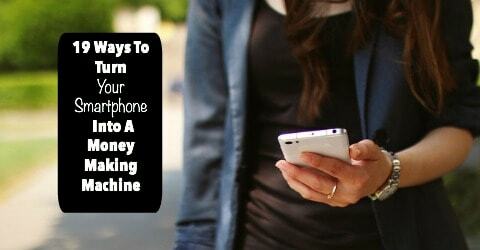 If you are facing a problem of too little money each month to cover the bills, one of these 6 different ways to earn money from home online might be the gateway to generating an income to help ease your financial problems. I am interested in taking and selling photos online and to make money writing. Are there sites or apps for that. All my former writing sites dried up and went out of business. 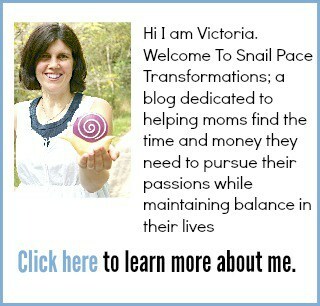 Yes, there are, I mention a few in this post –> https://snailpacetransformations.com/19-ways-to-turn-your-smartphone-into-a-money-making-machine/ hope that helps.